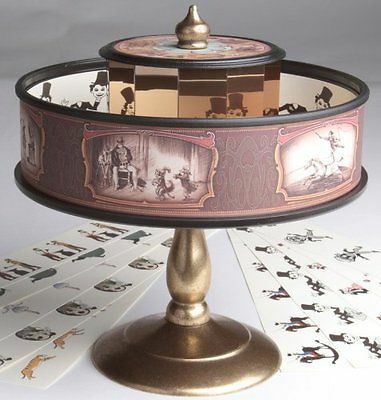 Zoetrope and Praxinoscope are animated vintage victorian toys that was originally developed in 1830s by William George Horner whilst living in Kingston Upon Thames. 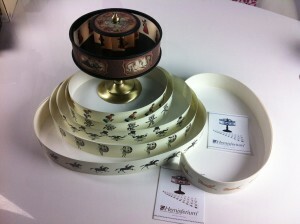 The Zoetrope has recently been featured in the Hollywood blockbuster film, “The Woman In Black” starring Daniel Radcliffe. 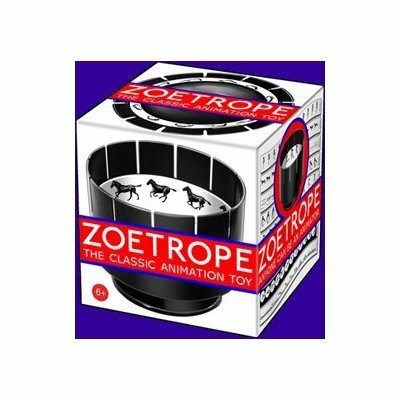 We ship both Zoetrope and Praxinoscopes globally and constantly have in stock a variety of sizes and colours.